An absolute necessity for me in the summer is a stylish pair of sunglasses. I ALWAYS have a pair on in the summer whether I’m wearing them on my head or eyes. My style is classic and versatile, when I saw the Carmen Marc Valvo sunglasses collection it screamed my name. The styles are classic but unique and I love the little details he puts into his designs. 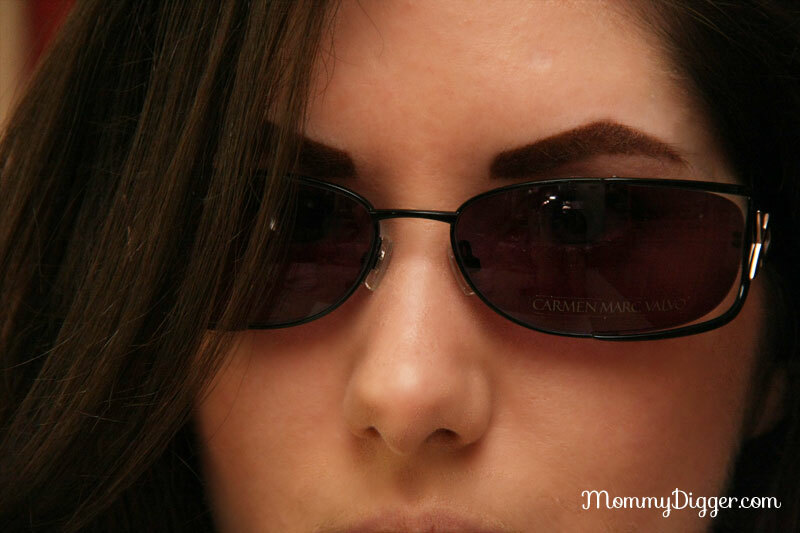 I recieved a pair of Carmen Marc Lena sunglasses and I absolutely love them! My favorite thing about the design is the floating effect the lenses have and the polished sculpted accented temples. The frames are made of metal so they are durable which is perfect for me because I can really put sunglasses through the ringer. They are very comfortable to wear and the caviar color I chose goes with any outfit I accessorize with them. Carmen Marc Valvo has other styles available, check out the full collection at www.endless.com. Carmen Marc Valvo Lena Sunglasses are available in boutique stores and nationwide at www.endless.com for $135. The gold one would be nice! I love the Carmen Marc Valvo, Lena sunglasses with gold frame/brown lens. I liked Garbo sunglasses the best. Thanks for the opportunity. I would like to win Gold.